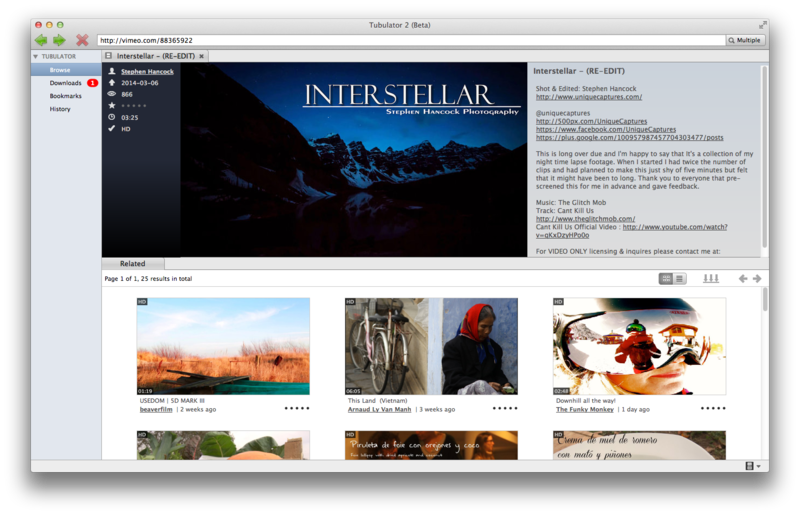 Finally got around doing the last changes in the application and getting work done on the Vimeo plugin. There’s still a few kinks here and there, but I’ve got an idea how to fix them most of them. Most important of all: The final release is progressing. I will publish an update within a week or so with support for Vimeo, YouTube 4000p support and a fix (hopefully) for the 403 errors some users are getting. This should be the final release where it’s necessary to update the application in order to support a new service. Hereafter, the services should be automatically downloaded as plugins. Apart from that, I finally got my Apple Developer ID, so the Mac version is now properly signed. There was probably a fair deal of users who gave up on the application because of the stricter security in the newer Mac OS versions – although Apple could have chosen a more descriptive error message than “The application is damaged” when encountering an application not satisfying the current security settings. But hey, that don’t force developers to get a Developer ID, does it? Vimeo media view. The huge thumbnail is actually a bug, but I kinda like it – perhaps something in between? Searching YouTube and Vimeo at the same time. The button to the right of the address bar allows you to select which services are searched. © 2013 - 2017 Faroe Software Co. Ltd.